insidethegames can reveal chief ethics and compliance officer Päquerette Girard Zappelli issued an ultimatum in a letter to Rakhimov which says him running for the top job could put boxing's place at Tokyo 2020 at further risk amid the Uzbek's links to alleged organised crime. In the letter, dated August 31 and obtained by insidethegames, Zappelli says it will be "crucial in the best interests of boxing within the Olympic Movement that only candidates benefiting from a full clean situation can stand for the President's position". 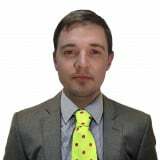 "These two decisions, which are public, are linked to the decision by the United States Department of the Treasury to consider you as part of or linked to two transnational criminal organisations," Zappelli writes in the letter. "Due to this situation, I am sure you can appreciate the IOC Ethics Commission is not in a position to ignore these decisions." While IOC President Thomas Bach has previously warned Rakhimov's election at AIBA's Congress in Moscow in November could put boxing's place on the Tokyo 2020 programme in jeopardy, the letter from Zappelli on behalf of the Ethics Commission represents an explicit warning to the controversial official, who denies wrongdoing. insidethegames exclusively revealed earlier this month that Asian Boxing Confederation head Serik Konakbayev will stand against Rakhimov at the election in the Russian capital. Other candidates could emerge before next Sunday's (September 23) deadline. 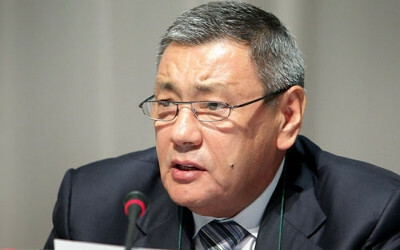 Some AIBA members share the concerns of the IOC and believe Rakhimov should not permanently assume the position, while others claim he is the best candidate despite the controversy. This includes being able to prove to the reasonable satisfaction of the Election Committee that they have never been convicted of a criminal offence and have never been sanctioned for a violation of AIBA statues or rules. insidethegames has contacted the IOC and AIBA for comment.